A tin of baked beans. 1. 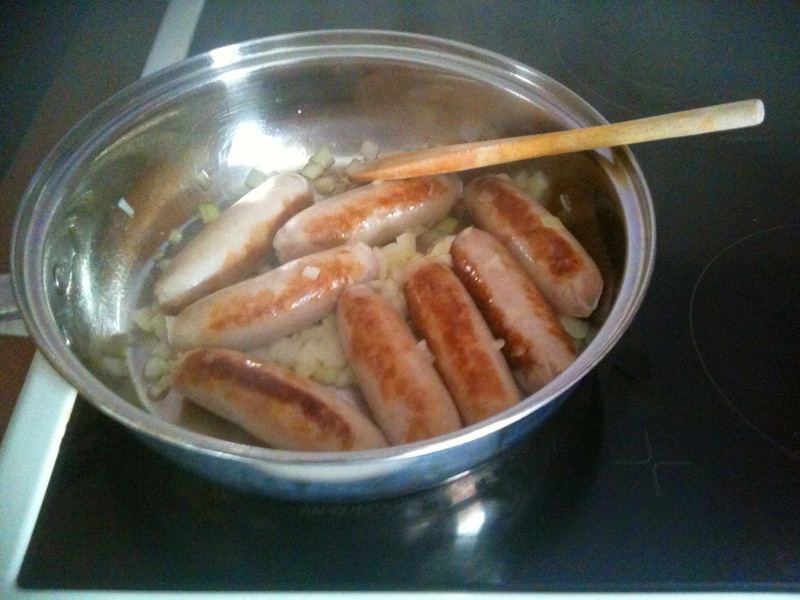 Fry the sausages and onion in a large pan with a little oil until the sausages are brown and the onion is softened. 2. 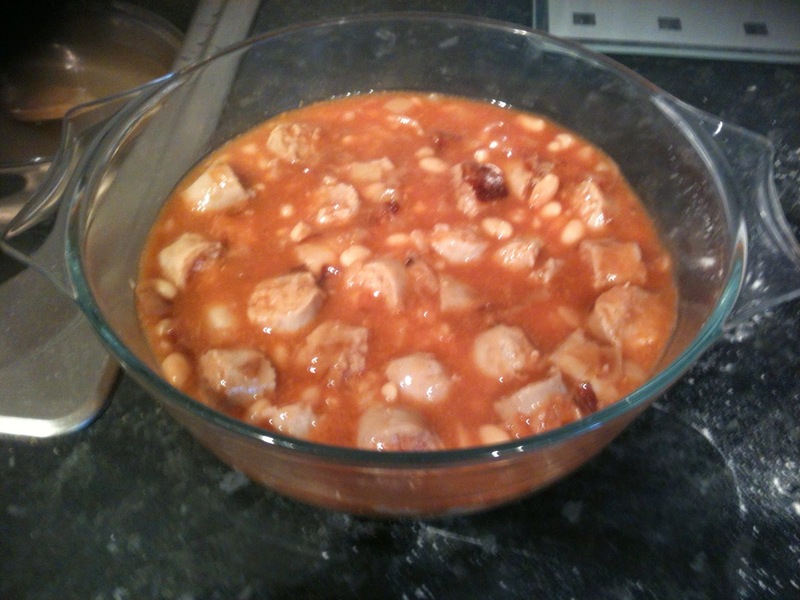 Cut the sausages into large chunks and then stir in the water and baked beans. Simmer for five minutes and then put to one side. 3. 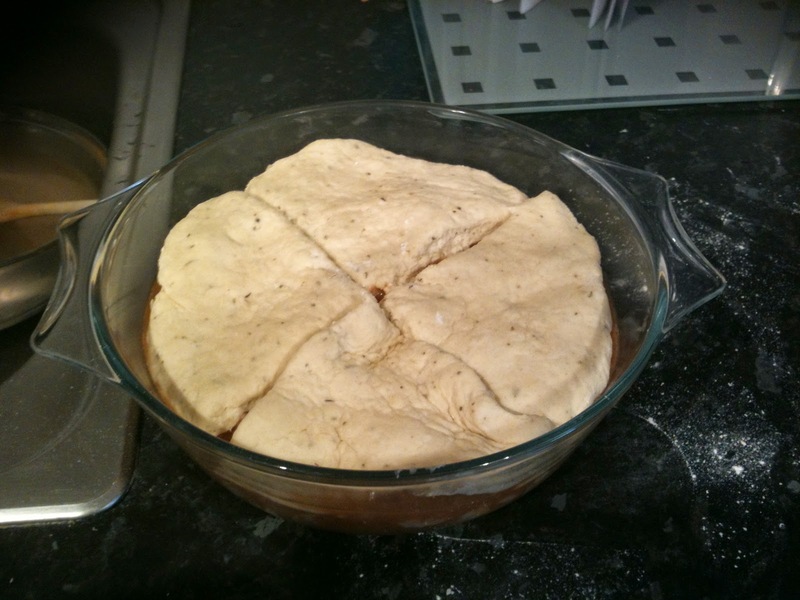 Make pastry by mixing the flour and herbs together and then rubbing in the stork to make bread crumbs. 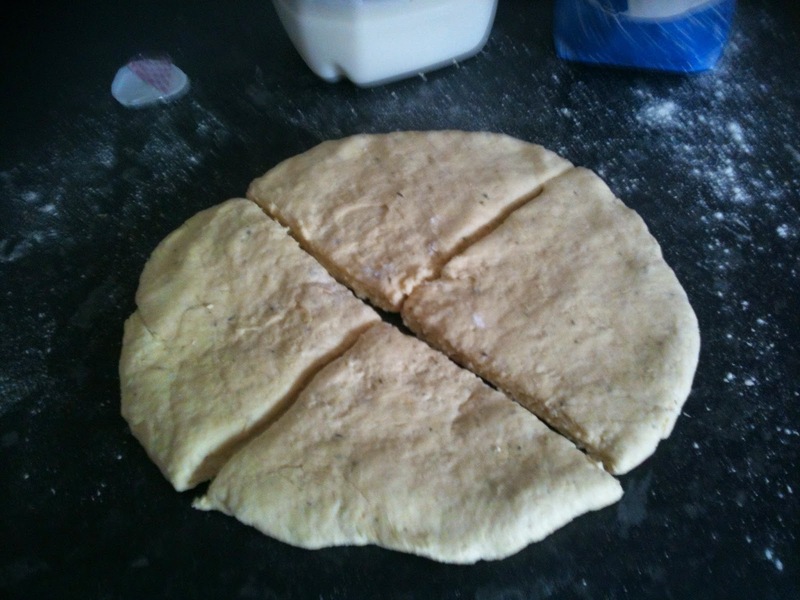 Stir in enough milk to form a soft dough and cut into four triangles. 4. 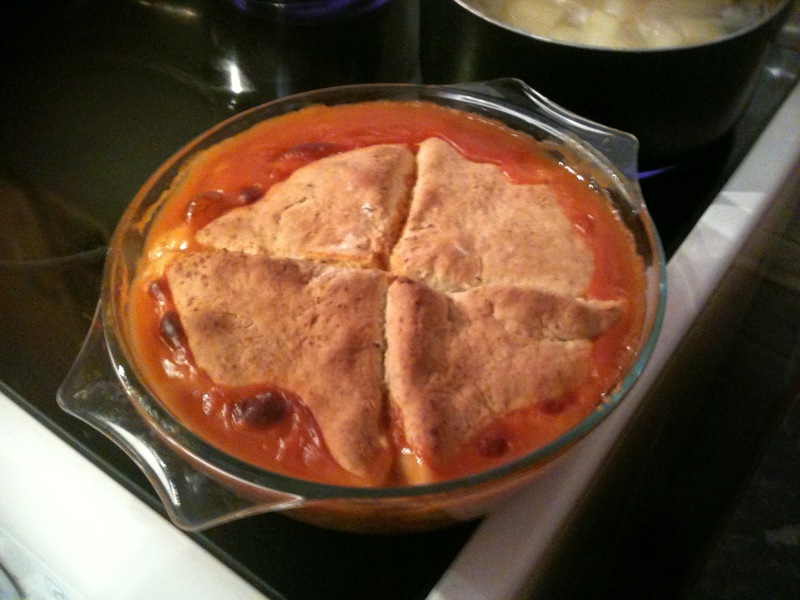 Pour the sausage filling into a casserole dish and then top with the pastry four triangles. 5. Cook in a pre-heated oven at 220 for 15 minutes and then reduce the heat to 190 and cook for another 15 minutes.